I’m back from E3, and I’ve brought a truckload of video game impressions with me. You can hear them all on this week’s Kotaku Splitscreen, or read some of them right here. On today’s episode, Kirk and I talk about tons and tons of games, starting with the many demos I played at E3, like Anthem, Spider-Man, and Kingdom Hearts 3. Then we talk about real games that are actually out, and spend pretty much the last 20 minutes just raving over Dark Souls, which I’ve been playing for the first time. Super Smash Bros Ultimate - Feels just like Smash Wii U to me, although I’m no expert. I will definitely buy and play this. Overcooked 2 - Just as frantic and delightful as the first one. I played it with three other people on a demo station at Nintendo’s E3 booth and had a very fun time chopping up vegetables, boiling rice, and trying to get all that sushi plated on time. Resident Evil 2 - You can shoot while you move now! Mega Man 11 - Wonderful. One of my E3 highlights. Feels exactly how I’d want a new Mega Man game to feel in 2018. Kingdom Hearts 3 - Feels exactly how I’d want a new Kingdom Hearts game to feel in 2006. The Messenger - An indie standout reminiscent of Ninja Gaiden, with great 2D platforming mechanics and some fun dialogue. Might be this year’s Shovel Knight. Anthem - It was easy to be skeptical after EA’s stage demo, but Anthem actually feels great to play—getting to fly around with a jetpack adds a new dimension to Destiny-style gameplay that has me excited for Anthem to make it out. Bloodstained - The long-in-development Castlevania successor from former Konami producer Koji Igarashi, Bloodstained is a little unpolished but definitely has that Castlevania feel. I’m stoked to play more. Underworld Ascendant - Disappointing. Janky, confusing, and the demo crashed on me. Not optimistic about this one. Valkyria Chronicles 4 - Looks and feels just like Valkyria Chronicles 1, which is exactly what we all wanted. Persona 5 Dancing - Mike Fahey is going to love this one. 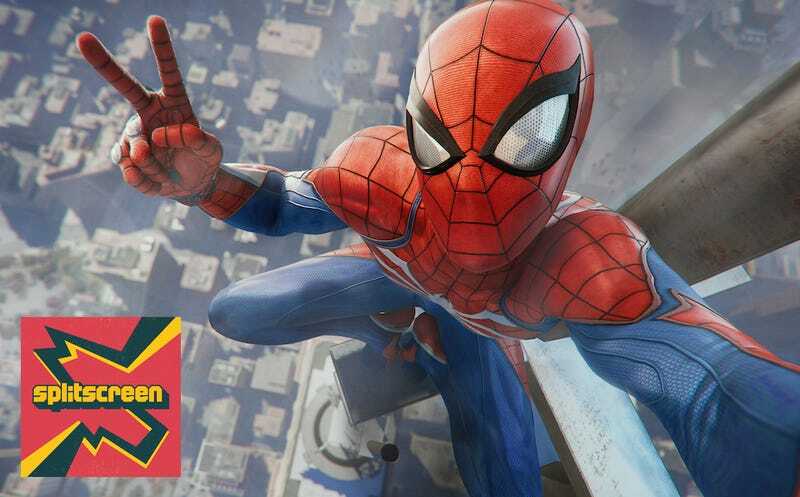 Spider-Man - Probably the game I left E3 most excited about, the new Spider-Man feels fantastic. There’s a lot of Arkham DNA in this one, but it’s also got enough cool web-slinging combat moves to make Spidey feel like a distinct superhero. Zipping around New York City is just about as fun as you’d hope.